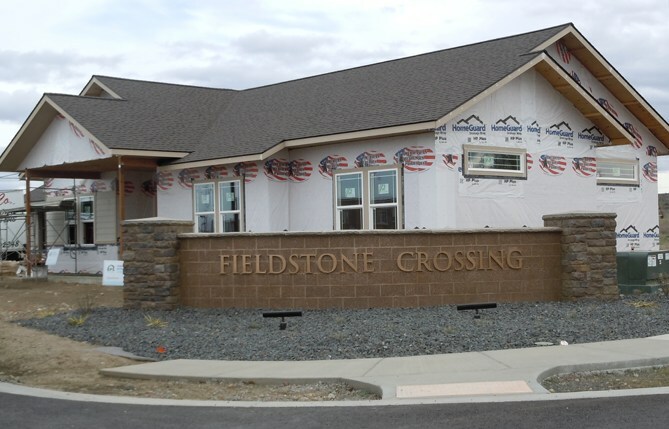 Located on West Angus Avenue, “Fieldstone Crossing” is a 3.25 acre, R-1 zoned, premier subdivision located inside the city limits of Hermiston. The property has been developed by the Hermiston School District to support the student homebuilding program. An up-scale subdivision, featuring high quality homes on larger, fully-landscaped lots, Fieldston Crossing will serve to meet the needs of sophisticated homeowners who desire high quality homes, close access to the freeway, and an “out-of-town” country feel. Carefully crafted covenances and restrictions will ensure homes, landscaping, and the development are well-maintained, providing comfort and assurance to homeowners for years to come. Phase 1 of the project includes 11 home sites located on West Angus Avenue. Each lot is at least 9,000 sq ft in size, will be privacy-fenced, and fully landscaped upon completion. The subdivision is conveniently located next to two, newer school campuses (Armand Larive Middle School and Desert View Elementary School), borders the city limits and the urban growth boundary, and is ideally located on the south end of town for easy access to HWY 84 and HWY 82. To learn more about the subdivision please visit the links below or contact us.